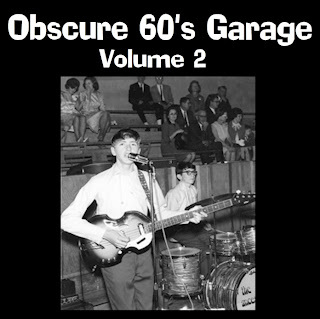 Obscure 60s Garage Vol. 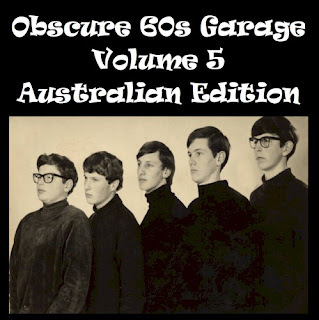 5 "Australian Edition"
Here's volume 5, this time packed with oodles of goodies from down under! YAY!!! Here's another one.... Holy Moly!!! 37 songs!!!!! O.K.!!! Here's Vol. 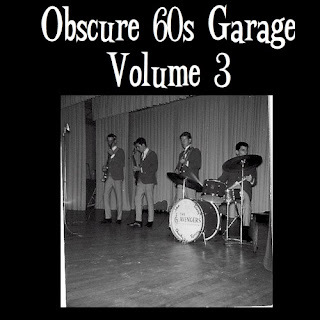 3 of "Obscure 60s Garage"! This tape has more rarities on it, although there are a few familiar iems like The Illusions' "I Know", and Dino, Desi & Billy's great "The Rebel Kind". Dig the Brownsville Station's version of "Question Of Temperature". Ron always liked throwing me curveballs, and I think that one fits in well. This one comes in at a whoppng 36 songs, so sit back and enjoy!!! 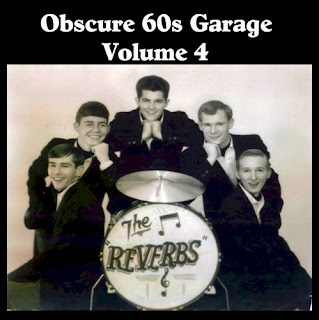 Heres a little info on the "Obscure 60s Garage" posts.... The tapes were transferrred to PC using a Teac dual cassette deck, and were edited using Adobe Audition 1.5. All tracks are in MONO at 128 k. I did everything possible to eliminate tape hiss without screwing with the sound. Some of the these were enhanced a little, with a bit of compression, but nothing kooky. Just a reminder...these tapes are 20 years old! Once I get these tapes done, I'll be posting my collection of 45s! Lots of goodies and fun!!!! O.K.!!!! 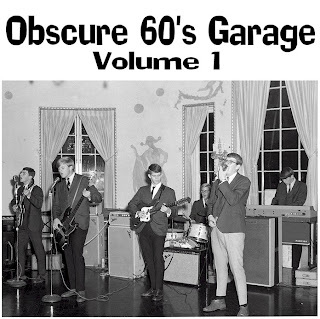 Heres volume two of "Obscure 60s Garage". I kinda like this one because it's got some real familiar stuff like Link Wray, The Human Society's "Knock Knock", and The Masters Apprentices awesome "Wars, Or Hands Of Time", one of my ALL TIME FAVES!!!! I'd also like some help with the Graveyard V tune. I know of the "Marble Orchard" Graveyard V, but this sounds like a completely different band. Can anyone help??? Anyone??? Hope you enjoy this "mix". Back in the mid 80's I used to trade cassette tapes of 60's garage/punk/psyche with a guy from Indiana named Ron Simpson. We swapped about 15 tapes all together, and to this day, they are some of my favorite "comps". I called these tapes quite simply "Obscure 60s Garage". With time I noticed the tapes slowly deteriorating, and we all know (well, those of us old enough anyway) what a tape player can do to an old tape. They increasingly run the risk of bieng eaten by the machine. So with 21st century glee, I set out to digitize these gems om my PC, and my precious 15 volumes of garage band genius are now saved forever. Now it's time to share. I know that the sound quality of these tapes are way below average, compared to many of the newer CD comps out today, but I still think you'll enjoy these "mixes". Friends and members of The Projectiles will recognize lots of these tunes, as we incorporated many of these "nuggets" into our set lists. ENJOY!!! I guess I really didn't have much better to do today, on a very cold January afternoon, so after sitting on this blog thing for a month or two, I've finally decided to get it together and actually post something. I hope you find something cool here. I've been collecting 45s and L.P.s for about 40 years now, and have seen some cool stuff go in and out of my collection. I became a huge fan of 60s garage/psyche in the early 80s, after hearing The Chesterfield King's 1st album. It was 60 rock & roll, but with a real attitude. 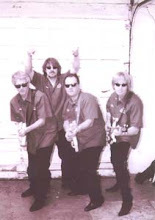 Shortly thereafter, my band "The Projectiles" became a garage band much in the same way The Chesterfield Kings & The Lyres were. We covered lots of Pebbles & Nuggets, and even wrote a few originals. 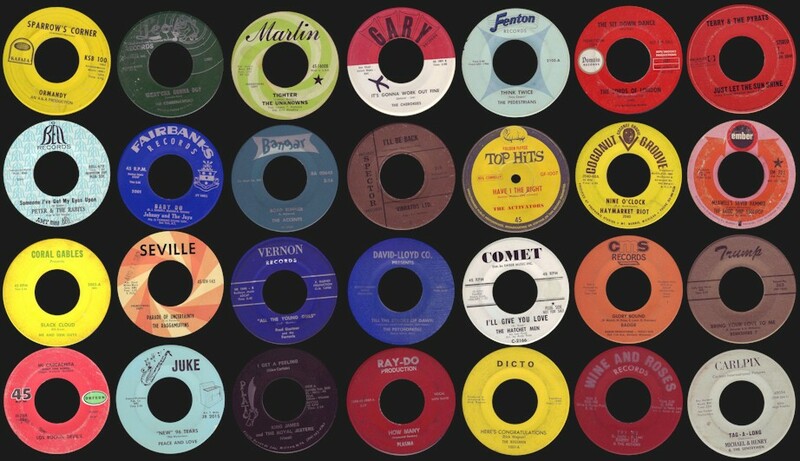 Right about this time I started collecting 45s and L.P.s from the sixties. I also traded tapes with local friends and a few "pan pals" across the country. So now that we have this awesome tool called the internet, I can share my "stuff" with all of you fans of 60s garage/punk/psyche, or whatever you like to call it!